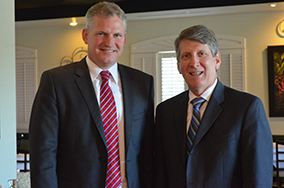 Scott White Advisors held the 2019 “Experts Speak” luncheon with Peter Newell as the speaker. Newell is the Managing Director and Senior Portfolio Advisor at Swiss-Based Vontobel Asset Management. 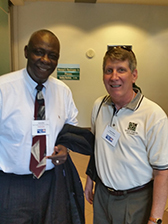 His topic was “Are All Great Companies in the U.S?” Scott is pictured here with Peter Newell. 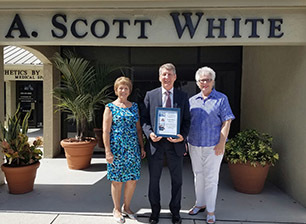 Scott has served on the board and participated in the allocations process of United Way of Lee Hendry Glades and Okeechobee Counties for 15 years. 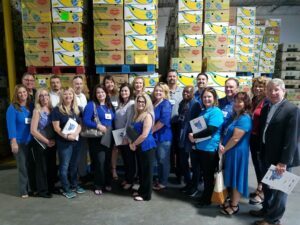 His allocations team visited Hope Clubhouse of Southwest Florida, Dr. Piper Center and Harry Chapin Food Bank of Southwest Florida, Inc. to ensure the organizations are good stewards of United Way support. Scott and his wife Adriana helped the Fort Myers Rotary Club at a fundraiser where the Irish band, Screaming Orphans performed. Here are Adriana, Scott and Rotarians Frank Snell and Jack Burges. The Community Cooperative in Fort Myers was in danger of closing when its commercial hot water heater stopped working. The nonprofit organizations feeds the most needy people in the community; it served 42,614 meals in 2017. The Rotary Club of the Fort Myers Trust Fund stepped up and bought a new hot water heater. As a member of the Trust Fund Allocations Committee, Scott presented a check to Stephanie Edwards, Director of Development &amp; Community Outreach. 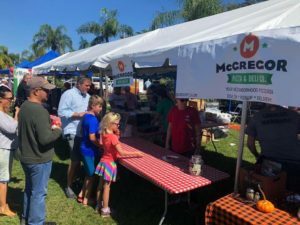 Scott and Adriana volunteered at the 2018 Italian Fest for the Fort Myers Rotary Club, where Scott is an active member. 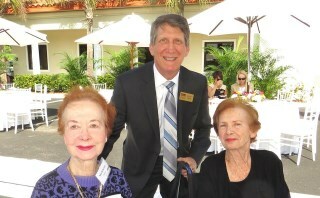 Scott attended the annual luncheon for Hope Clubhouse, where he serves as board chair. The “Faces of Hope” event was held at the Broadway Palm Dinner Theatre. Shown here with Scott are fellow board member Scott A. Wolf, DO, MPH, Acute Care Medical Officer at Lee Health; and the Clubhouse’s Chief Executive Officer, James Wineinger. 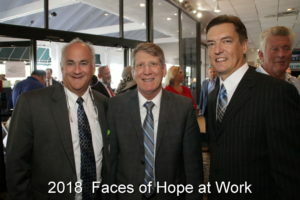 Raymond James is not affiliated with and does not endorse The Faces of Hope. 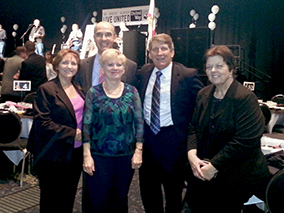 The United Way of Lee, Hendry, Glades and Okechobee Counties kicked off its annual campaign with a $10 million goal. Scott serves on the board and Scott White Advisors has been a Pacesetter company for over 15 years. Here Scott is pictured with Executive Director, Cliff Smith, and Hannah Pelle, Director of Allocations and Community Relations. 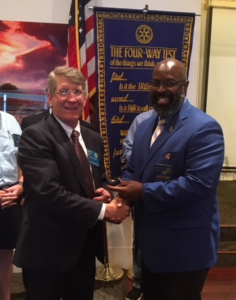 Scott was presented with the Paul Harris + 7 award by Fort Myers Rotary Club President, Archie B. Hayward, Jr., shown here with Scott. The award recognizes Scott’s 8 years of support to the Rotary Foundation. Cliff Smith and Jennylynn Mitchell of the United Way of Lee, Hendry, Glades and Okeechobee Counties presented plaques in appreciation to members of Scott White Advisors and Uhler and Vertich Financial Planners: Scott White, Gary Geston, Linda Harness, Corey Vertich, Dawn Zasa, Pamela Lyons, Becky Pardue and Tom Uhler. 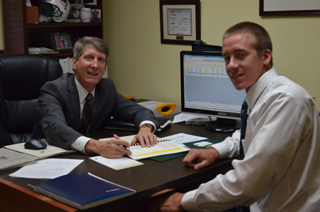 We had a great Shadow Day visit with Chad Moran, a senior finance major at Florida Gulf Coast University. He’s also a University Ambassador, Honors Mentor and Student Assistant. 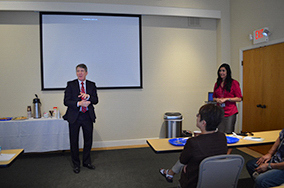 During his visit we focused on comprehensive financial planning. 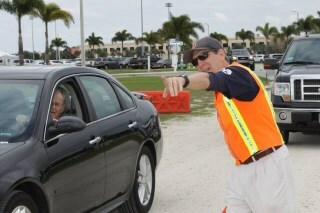 Scott was one of many Rotarians parking cars at Jazz on the Green in Ft Myers to benefit The Make-a-Wish Foundation. 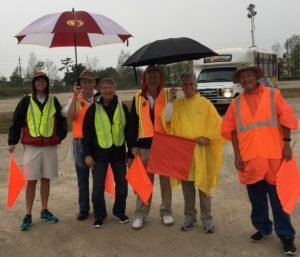 Pictured are fellow Fort Myers Rotary Club members Ian Keith, Kevin Lewis, Scott, Fred Anderson, Mark Stichter and Mark Vincent. 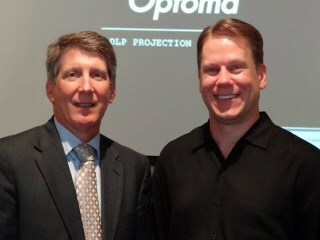 At the annual “Experts Speak” event, Scott is pictured here with Jordan Greenhouse, Portfolio Specialist for Kayne Anderson Rudnick Investment Management, who discussed “Is Small Beautiful?”. Kayne Anderson Rudnick Investment Management is the advisor to the Virtus KAR Small Cap Growth Fund. Scott and his wife, Adrianna, attended Hope Clubhouse’s Holiday Cheer event recognizing its supporters. Here are Dottie Pacharis, secretary of Hope Clubhouse, Scott and Adrianna. Scott is currently serving as the nonprofit’s board chair. 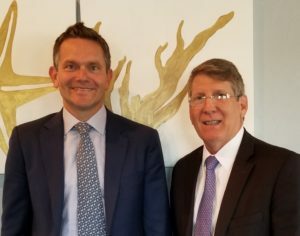 Scott met with Brian Ferguson, the Director of US Large Cap Equities and Portfolio Manger for The Boston Company’s US Large and Dynamic Equity Strategies, which manages the Dreyfus Strategic Value Fund. Scott delivered a donation from the Rotary Club of Fort Myers Trust Fund to the Lifeline Family Center. 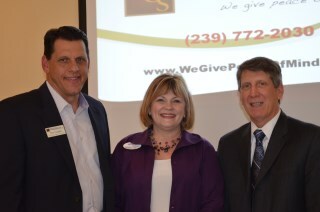 Pictured are Fundraising/PR Director Melanie Musick, CEO Kathy Miller, and Scott. As president of the Hope Clubhouse Board of Directors, Scott was on hand when the mayor of Fort Myers stopped by for a tour. 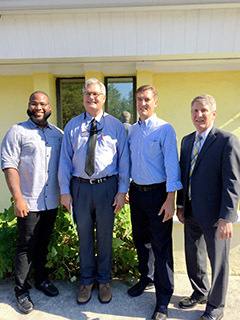 Pictured left to right are Hope Clubhouse Program Director Benjamin Brock, Mayor Randy Henderson, Hope Clubhouse CEO James Wineinger and Scott. 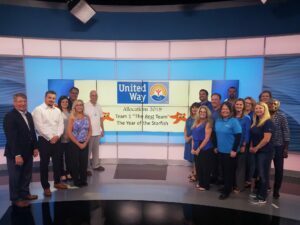 United Way representatives presented the Scott White Advisors team with an award recognizing their generosity and commitment to helping less fortunate in the community. 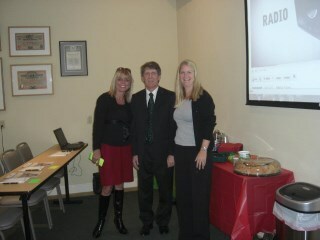 Scott is pictured here with Linda Harness and Pamela Lyons. Scott was recently named a Paul Harris +5 fellow. He is photographed here with other Paul Harris fellows Jim Pelstring, Amy Turner, Mark Vincent, and Peter Dinnis. 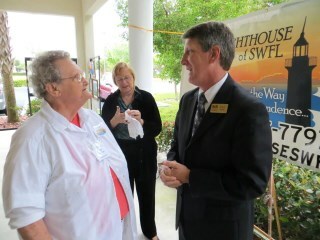 As part of Scott’s long term commitment to Lee County United Way, he participates in site visits. 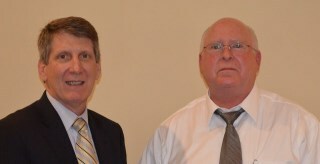 Scott is seen here with fellow board member Larry Hart, Lee County Tax Collector. This year the UW team met with the following partner agencies: LARC, FGCU Scholars Program and Senior Friendship Centers. Scott White Advisors’ clients heard from Mark J. Roach, Portfolio Manager of the Dreman Contrarian Small Cap Value Fund at Dreman Value Management, LLC, during the Experts Speak Luncheon. 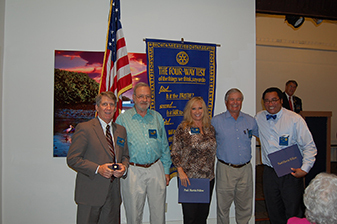 The Fort Myers Rotary Club recognized Scott recently as a Paul Harris +4 Fellow. Scott has been committed to Rotary service for years. Here he is shown with Julia East, Joseph Broughton and Mark Vincent. 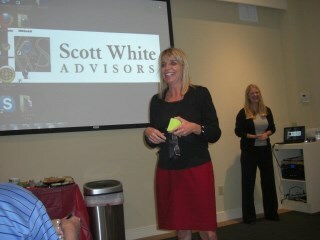 Scott White Advisors hosted the 12th annual Dollar Day for SW Florida professional advisors. 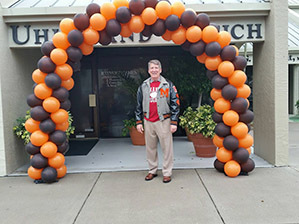 This year the event’s theme was “Homecoming.” Here is Scott wearing his original high school letter jacket. He lettered in football for the Malvern, Arkansas Leopards. 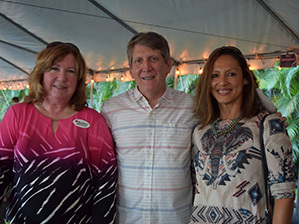 Scott White, Linda Treise and Adriana White support the Fort Myers YMCA fundraiser Corks, Forks and Ale. Scott White Advisors sponsored the Closer to Hope Symposium that raised over $30,000 to benefit HOPE Clubhouse, a nonprofit agency SW Florida that helps people living with mental illness to achieve independence and employment. Here is a photo from the event of Scott, Hope Clubhouse Board Member Dottie Pacharis and the event’s keynote speaker, Jessica Close, the sister of the actress Glenn Close. Dictionary Day is a project sponsored by local Rotary clubs to give every 3rd grader in Lee County Florida their own dictionary. Pictured are Rotarians Mark Sticher, Dan Detrick, Kim Davis-Bocelli, Amy Kaleniecki-Gill, and Franklin Park Elementary principal Beth Quisendbury, assistant principal David Sanon, and Scott. Scott participated in Dictionary Day at Franklin Park Elementary School. Here he is with the 3rd graders who received dictionaries that day. 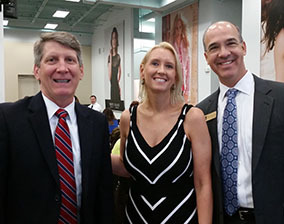 Scott and colleague Corey Vertich, and the United Way of Lee, Hendry, Glades and Okeechobee Counties Director of Allocations Hannah Pelle, at the Allocations Participants’ Breakfast held at Chico’s World Headquarters in Ft Myers. 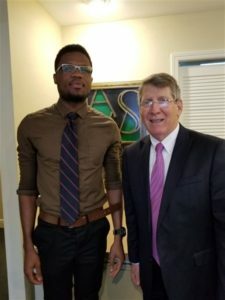 Rob McVicker was in Ft. Myers to speak with some of my clients on “Why Own Small-Cap Stocks.” Rob co-founded Oak Ridge Investments in 1989 and is Senior Portfolio Manager of Oak Ridge Small Cap Growth Fund. 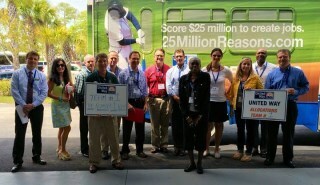 Scott’s United Way Allocations Team visited 3 charities that applied for United Way funds. 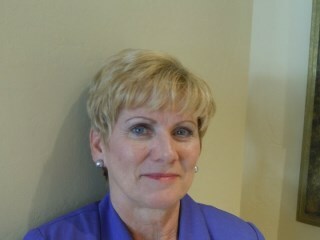 Scott is a board member of the United Way of Lee, Hendry, Glades and Okeechobee Counties. This year the 2014-15 campaign raised $9,038,833. See more at http://www.unitedwaylee.org/. In this photo, the number each person holds represents the number of years they have been participating in the allocations process. 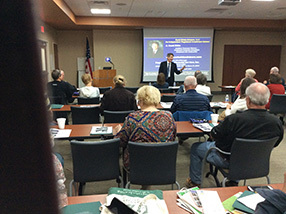 Scott White partnered with Diana Rippl, Director of Health and Wellness Integration at Lee Memorial Health System, teaching the latest tips and techniques to healthier, happier living at The Five Elements of Wellbeing seminar. 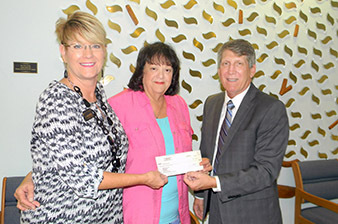 Scott presented the Have a Heart fundraising check of $910 to Debra Webb, CEO of HOPE Clubhouse, its staff and members. The funds will support people living with mental illness in Southwest Florida by offering hope for recovery and achievement through the HOPE Clubhouse programs. 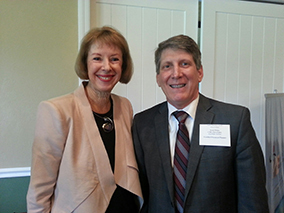 Scott attended the 2014 People of the Year awards to further support philanthropy in his Southwest Florida community. Scott’s associate Tom Uhler was the event’s inspirational keynote speaker and was also a 2013 People of the Year award recipient. 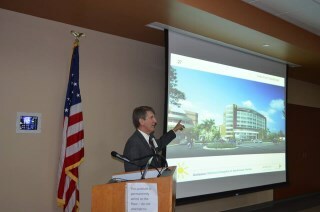 Scott spoke at Gulf Coast Hospital at a seminar sponsored by the Lee Memorial Health System Foundation. 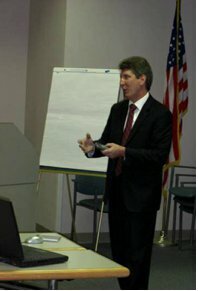 Scott discussed financial planning strategies for surviving spouses. Scott volunteered with the Rotary Club to park cars for the downtown Ft Myers Art Festival. The club raised over $4,000 to give to charity. Scott White Advisors was a sponsor of the Hodges University 2015 Luminary of the Year Award Luncheon. 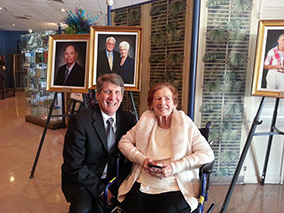 The event honored Betty Bireley, shown here with Scott, who is an avid supporter of numerous local charities and arts organizations. 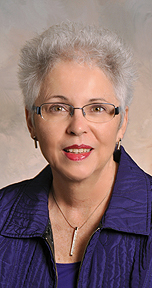 Event proceeds are dedicated to the Betty Bireley Friends of the University Scholarship Fund. Scott and Dawn-Marie Driscoll at the Estate Planning Council of Lee County and Partnership for Philanthropic Planning of Lee County luncheon. Scott is past president of both groups; he founded the Partnership for Philanthropic Planning. 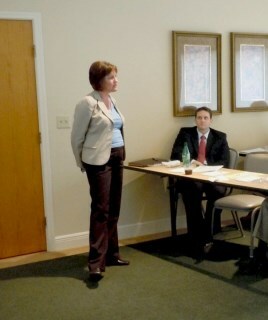 Dawn-Marie spoke on Ethics and Staying Mission Focused. Scott was acknowledged for his commitment to enhancing his community and the world. He was inducted into Rotary International’s Paul Harris Society. Named after Rotary’s founder, the Paul Harris Society recognizes Rotary members who contribute $1,000 or more each year to the Annual Fund, PolioPlus, or approved global grants. 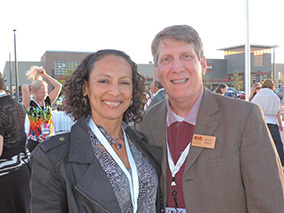 Scott and wife Adriana enjoyed the Evenings of Gratitude event sponsored by the Southwest Florida Community Foundation. Scott is a senior advisor for the foundation. 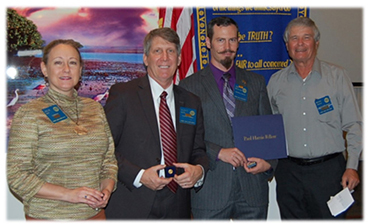 The Fort Myers Rotary Club recognized Scott as a Paul Harris Fellow 4. Scott has been committed to Rotary service for years, and says he’s proud of the club’s work: bringing clean water to a village in Africa, working on another water project in Guatemala, and the progress made in eradicating polio worldwide. 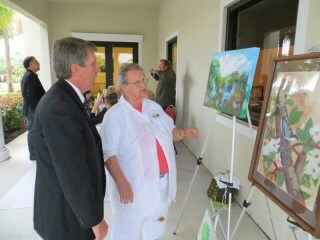 Here Scott is shown with Ann Rose, club president. 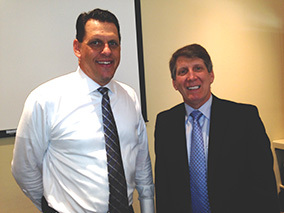 Scott White and Stan Grigiski, who presented information about Medicare choices at a Medicare seminar hosted by Scott White Advisors. 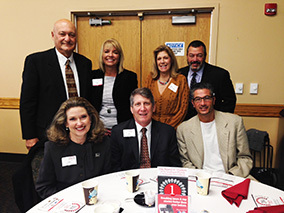 Members of our team attending the United Way Pacesetter’s breakfast: Linda Harness, Corey Vertich, Becky Pardue, Scott White and Kathy Byers. Scott White Advisors sponsored the Fourth Annual Mental Health Symposium, an event to support the Hope Clubhouse of Southwest Florida. 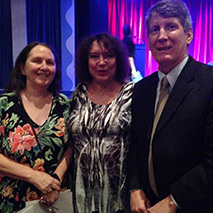 Carla Neufield, Key Clubhouse of Miami; Debra Webb, Hope Clubhouse of Southwest Florida; and Scott enjoyed the event. For the past 10 years, Scott has participated in Dictionary Day, an event sponsored by the Rotary Club of Fort Myers to give every student in the third grade in Lee County a free dictionary. Scott distributed dictionaries at Franklin Park Elementary School. 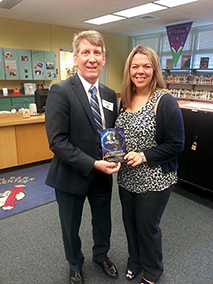 He is shown here with Assistant Principal Bethany Quisenberry. 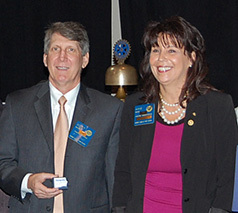 Scott is active in the Rotary Club of Fort Myers, where he recently completed 5 years on the Board of Directors. 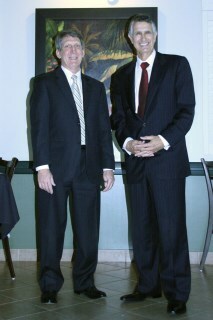 Here is Scott and Steve Russell at the Rotary Club’s Changing of the Guard event. Steve is President Elect. Scott serves as a mentor to students who want to enter the financial planning field. 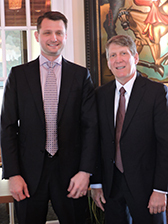 Recently he met with Michael “Jake” Arden, as part of the Financial Planning Association’s “Shadow a Financial Planner” Day. Here Scott shows Jake how he reviews investment statements. Scott hosted a seminar for clients on “The Truths and Myths of Home Care.” Stan Grigiski, Owner, Medical Claim Service of Southwest Florida, and Maureen Oravec, Territory Manager at Comfort Keepers, presented practical information everyone on Medicare should know. 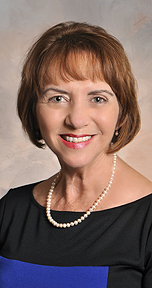 Scott participated in the allocations process for the United Way of Lee, Hendry, Glades and Okeechobee. The allocations process includes a group of volunteers making on site visits to local human service organizations and a review of the organization’s programs and financial data. This year the United Way raised over $8 million for our local charities. Scott has been a board member since 2006. 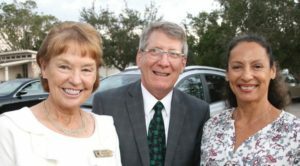 Madeleine Taeni, Scott and Betty Bireley attend the Legacy Society reception at the Southwest Florida Community Foundation. 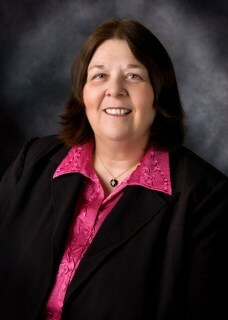 Scott has been a board member since 2005. In the 2013, the SWFLCF granted more than $4 million to more than 100 different organizations supporting education, animal welfare, arts, healthcare and human services. 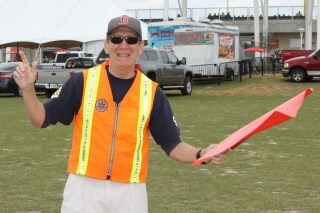 If you visit a Boston Red Sox spring training game at JetBlue Park you might catch Scott in action parking cars. Scott is a member of the downtown Ft Myers Rotary Club which assists in parking cars raising money for local charities. 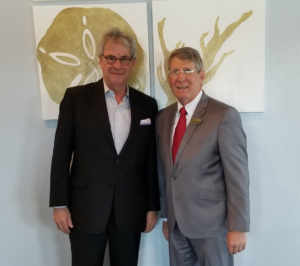 Legendary investor, Charles Brandes, founder and Chairman of Brandes Investment Partners, LP, came to Fort Myers to speak with Scott and several clients about his “Graham and Dodd” approach to building investment portfolios one company at a time. Lee County Property Appraiser, Ken Wilkinson, recently stopped by Scott’s office for a luncheon with clients to discuss recent changes in Lee County property values, the finer points of calculating property taxes, and the impact of Florida Homestead on property taxes. Scott White addressed Florida Gulf Coast University’s undergraduate and graduate level Investment classes on the importance of having a written Investment Policy Statement. 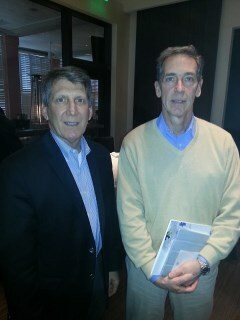 Scott and David Carlson met to discuss U.S. equities. David is Chief Investment Officer and Senior Portfolio manager for GE Asset Management, the subadvisor for the Highland Premier Growth Equity fund. 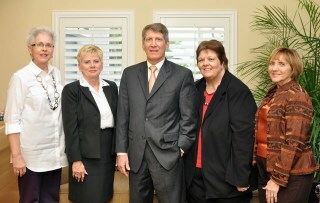 Pam, Becky, Scott, Kathy and Linda—five members of our terrific team. We’re standing by to answer your questions about financial planning. 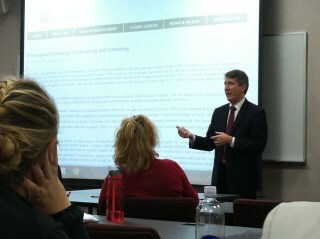 “Financial Planning for Surviving Spouses” was the subject of Scott’s seminar at the Lee Memorial Hospital Foundation. 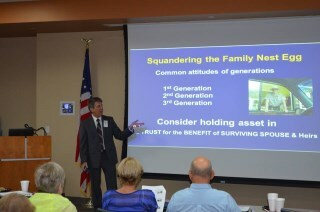 Scott presented “Financial Planning for Surviving Spouses” at a Lee Memorial Hospital Foundation seminar. Scott is an active community volunteer. 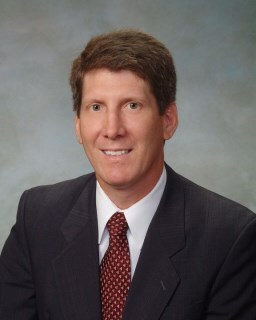 He is secretary-treasurer and a member of the executive committee for the Southwest Florida Community Foundation and is a member of Board of Directors for the United Way of Lee County. 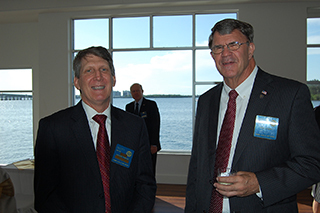 He also serves as a member of the Board of Directors of the Fort Myers Rotary Club. 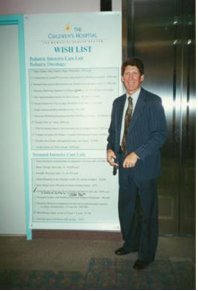 Scott was the founding president of the Planned Giving Council of Lee County and is past president of the Lee County Estate Planning Council. 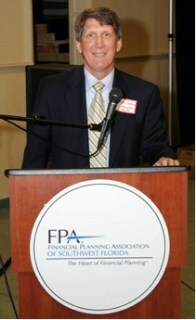 Scott is past president of the Financial Planning Association Southwest Florida Chapter. 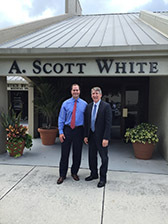 Scott White Advisors’ office in Fort Myers. 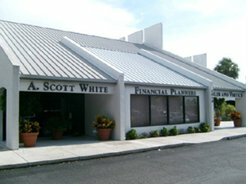 Scott is past president of the Southwest Florida Chapter of the American Society of Financial Service Professionals. Members of our team, standing by to answer your questions about financial planning.